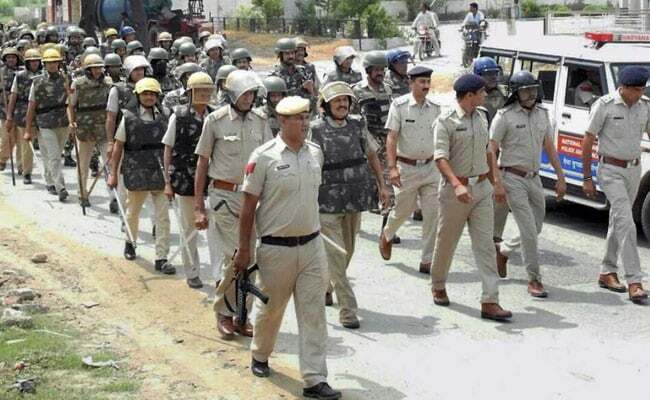 The Haryana Police said that "adequate" number of security personnel have been deployed in almost 13 districts of the state to maintain law and order. Chandigarh: Haryana has been put on alert and the state government has sought 25 companies of paramilitary forces in view of the proposed rallies of a Jat body and a BJP MP tomorrow. The Haryana Police said that "adequate" number of security personnel have been deployed in almost 13 districts of the state to maintain law and order, and claimed that the situation was "peaceful and under control". Kurukshetra MP Raj Kumar Saini, who has been opposing reservations for Jats, would be holding a "Samaanta Maha Sammelan" in Jind while the All India Jat Arakshan Sangharsh Samiti's chief Yashpal Malik would take out a rally at Jassia village in Rohtak district on November 26. "The situation is peaceful and under control," Haryana Additional Director General of Police (Law and Order) Muhammad Akil told PTI this evening. "We have deployed adequate forces in 12 to 13 districts of Haryana," he said without specifying the number of security personnel. The state has also sought 25 companies of paramilitary forces from the Centre in view of the two rallies being organised in Rohtak and Jind districts, the officer said. However, the paramilitary forces are yet arrive, he said. Inspector General of Police (IGP), Rohtak Range, Navdeep Virk said that as many as 3,500 security personnel have been deployed in Rohtak. Deputy Commissioner, Rohtak, Yash Garg said, "Prohibitory orders banning carrying of arms, weapons or lathis has been issued." Besides, routes have been diverted at several points so that those participating in the rally at Jassia village would not have to pass through the city, he said. "As many as 19 police check posts have been set up while 38 duty magistrates have also been deployed in the district," the officer said. Deputy Commissioner, Jind, Amit Khatri said that the district administration and the police are on alert and adequate security forces have been deployed. "Hisar Range IGP is also camping in the district," he said, adding that no prohibitory orders have been issued. Yesterday, a group of Jats, who had been opposing Saini's rally, had clashed with police in Jind and had blocked the Jind-Chandigarh national highway. The police had to use a mild lathi charge to disperse the protesters and clear the highway. The Haryana government had yesterday suspended mobile internet services at 13 places in the state for the next three days, apprehending breach of peace and law and order problem because of the rallies. Mobile internet, SMS and dongle services provided by cellphone networks, except voice calls, would remain suspended for the next three days, till November 26 midnight, in Jind, Hansi, Bhiwani, Hisar, Fatehabad, Karnal, Panipat, Kaithal, Rohtak, Sonipat, Jhajjar, Bhiwani and Charkhi Dadri districts.